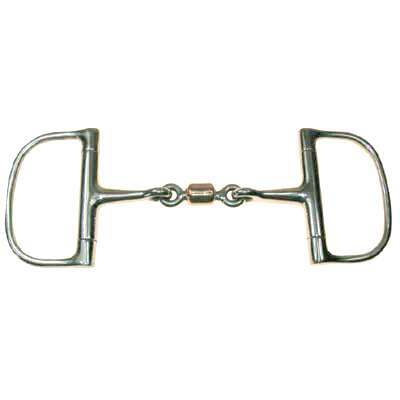 This specific Dee Link Snaffle Bit with Copper Roller happens to be one of our best sellers. It is not just made of impeccable craftsmanship but we also offer them at an affordable price to help you save. This Dee Link Snaffle Bit measures 3'' rings and 12mm in mouth. These Dee Link Snaffle Bits also have copper which creates additional salivation for the horse. As horse enthusiasts ourselves our number one priority is to offer our customers Horse Dee Link Snaffle Bit items which we believe are made to last and available at affordable prices.